What an amazing event! 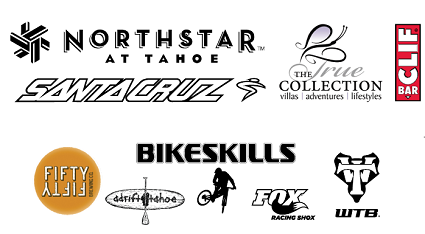 It was really something to have so many of mountain biking’s all-time all-stars in one place, at one time, for one purpose: to help the average rider become better, to be safer, and to simply have more fun! 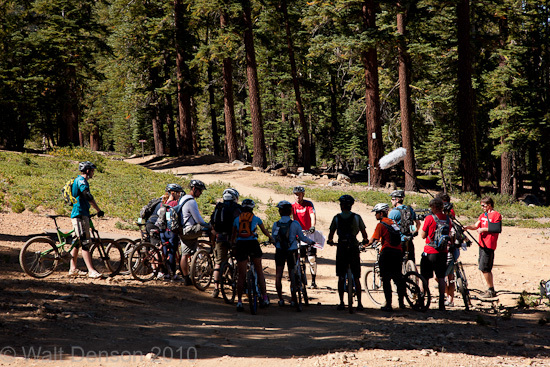 Check out some of the weekend’s images and stayed tuned for event video. 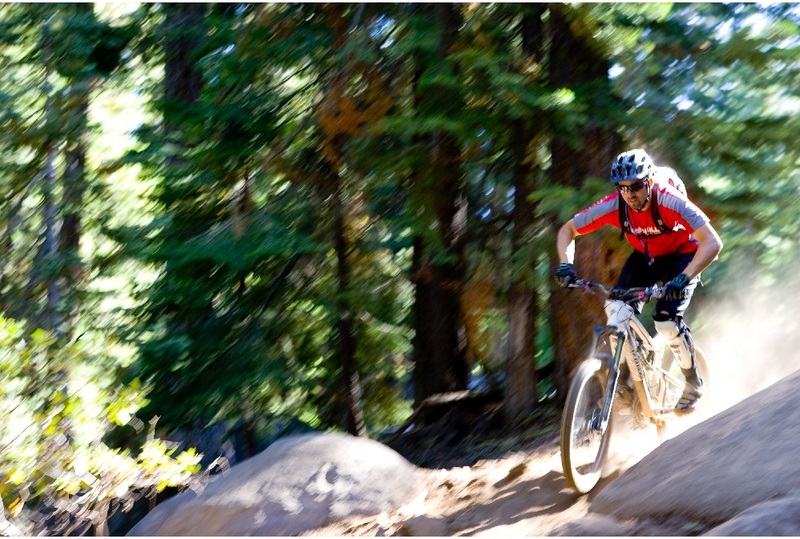 Photos by Walt Denson and Jason Van Horn and Jeff Engerbretsen. 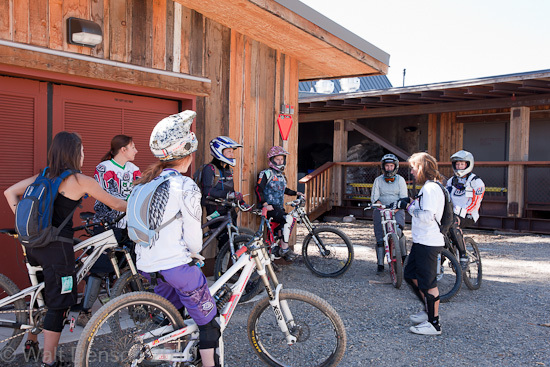 While a bit surprising, Jon Wilson’s Slopestyle clinic had an unlikely, or so it would seem, demographic of professionals. Who’d a thought? 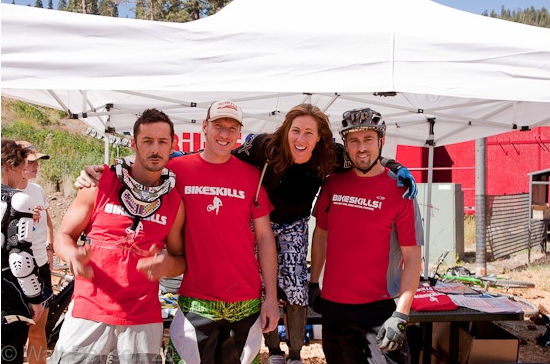 NorCal local, Bob Indig, was instrumental in getting the word out to his posse about the Bikeskills DH clinics. Props to Bob. Cedric’s command of the English language is second only to Yogi Berra’s. Regardless of his scrabble approach to syntax, Cedric can lay things out in a way that what is at once as funny as it is serious and helpful. One of the key things the pros helped with was to deconstruct complex and difficult sections, break them down in to individual skill challenges, and alternative lines for varying skill levels. 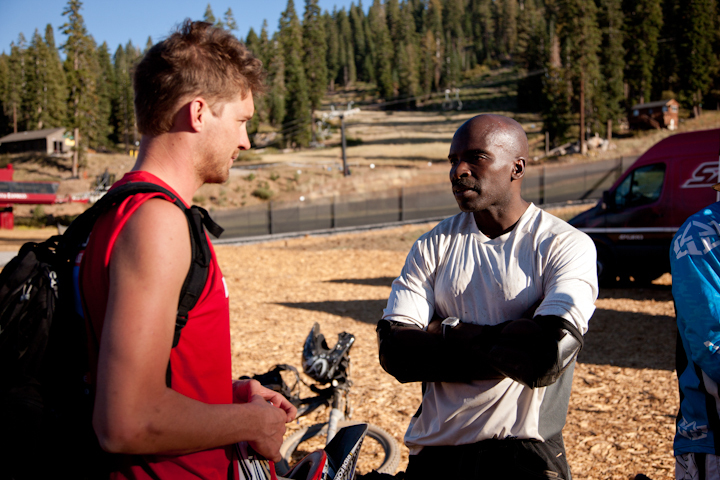 Here Cedric explains an array of ways to get from Point A to Point B.
Roman Gladiator or Mountain Bike Rider? The skillfull lens work of Walt Denson transforms your basic bike enthusiast in to someone who looks like he just stepped off the set of Gladiator with Russell Crowe. 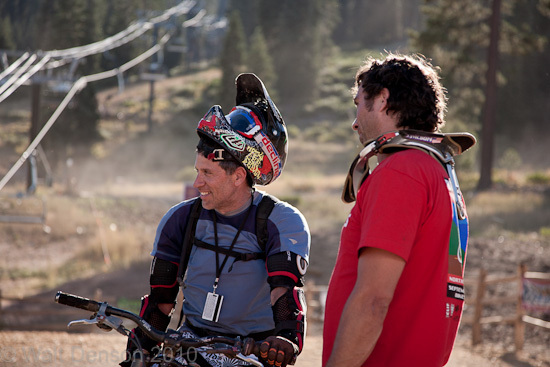 We didn’t say Cedric is, or is even capable of being serious (maybe he is, we just don’t know…) but once again, Walt’s way with the camera makes Cedric appear every bit as comtemplative as Greg Minnaar. 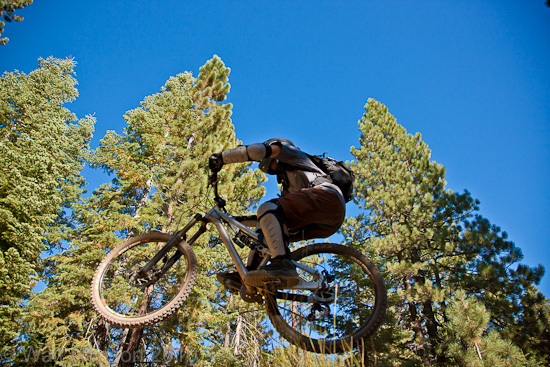 Paul from the Santa Cruz area, a double top secret trail rider, samples some thin air on Livewire. 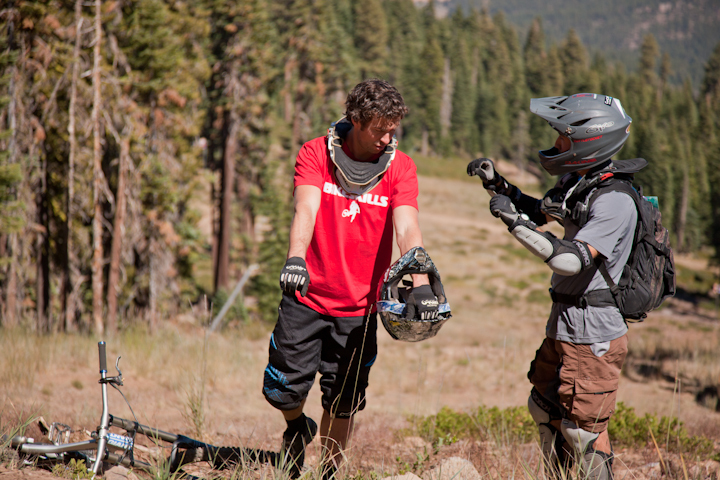 We tried to make the best of our time in Tahoe and did some filming for an instructional video. 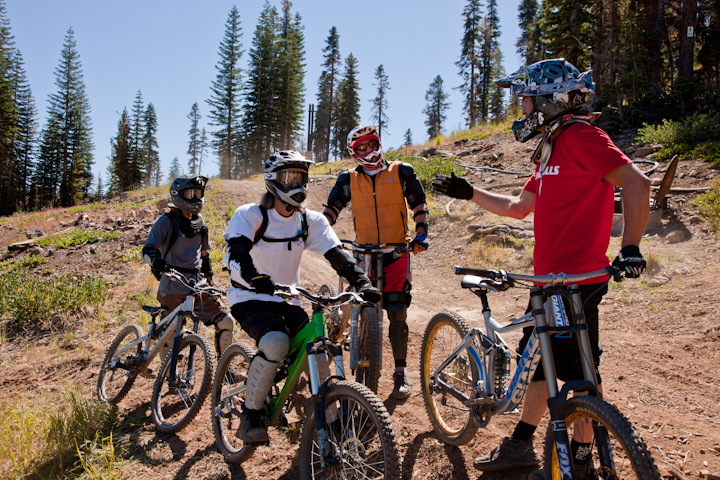 Here Joe Lawwill leads a Trail Clinic while Bikeskills videogrpapher Jeremy Teman (not visible in picture) handles the HD rig while Mike Schutt, far right, handles the audio with the boom and “furry dog” mic. 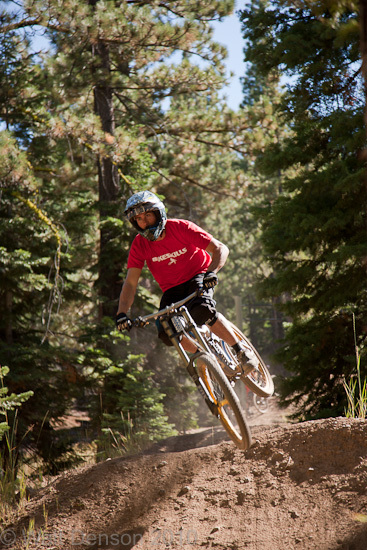 While most people ride full-on Downhill bikes at Northstar, very few have Joe Lawwill’s skills. 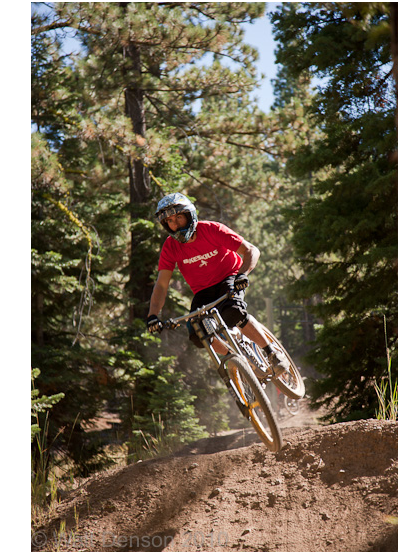 Here Joe rips it up on a carbon Nomad proving that Santa Cruz’s latest all mountain machine can handle some serious terrain. 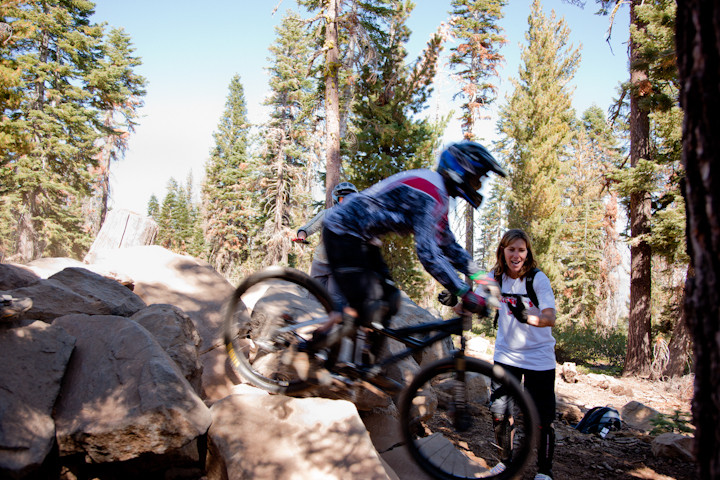 Leigh Donovan’s clinics were enjoyed not just by her students, by all of the Bikeskills team that were taking pictures, shooting video, as well as helping her with logistics. 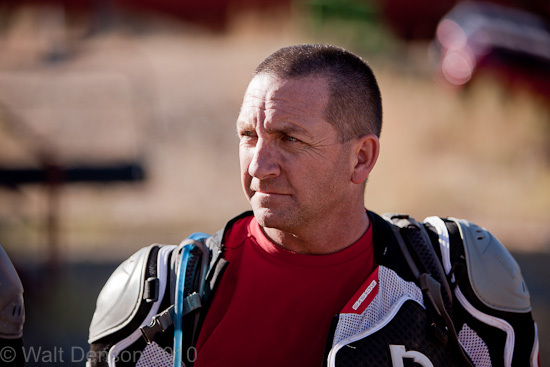 No doubt about it Leigh added a huge amount of World Class in the Bikeskills World Class. 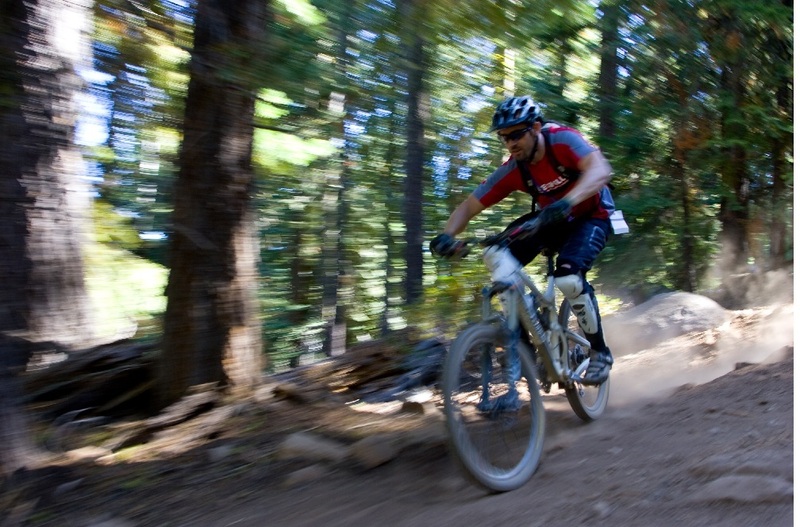 Ride much in Tahoe, and at all at Northstar? Then you probably know Jon. If you’re just out there mowing the lawn, you know him as a really nice person who’s always got a good word. 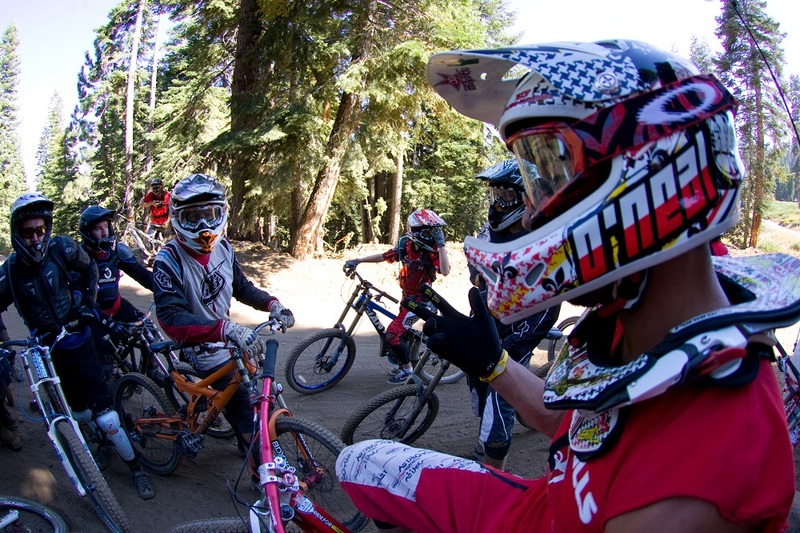 If you’re a NorCal pro DH racer, you know him as the guy who usually wins the pro division races… If you’re a cycling student, you know him as the instructor; and soon he’ll be an elementary school teacher in the Reno Nevada area. There’s no way to fake a smile like that! 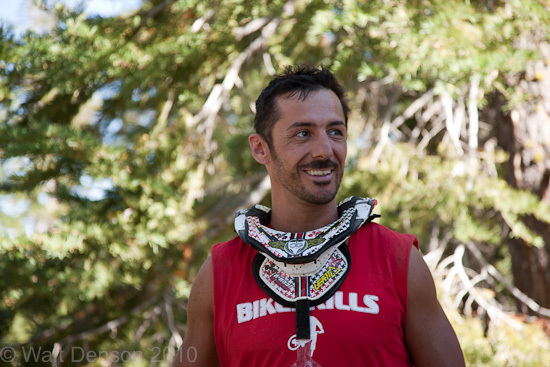 Hiroshi drove several hours to work with the Bikeskills team. 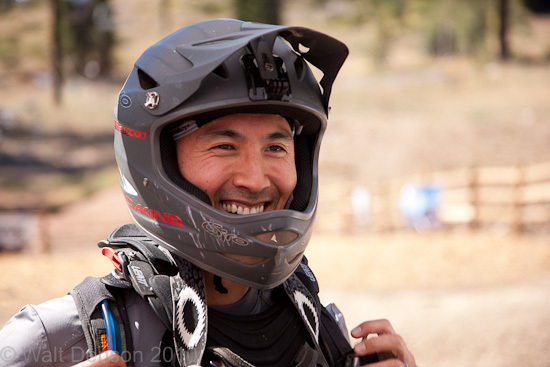 By day, Hiroshi is an engineer at Cisco Systems, but he’s one serious slopestyler and dirt jumper. 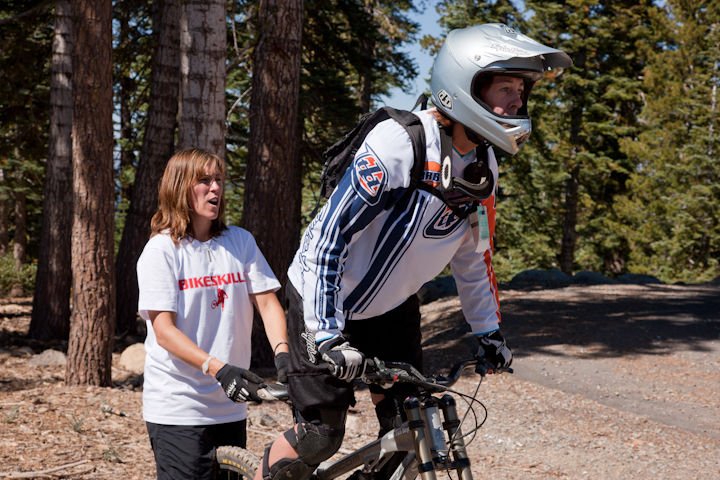 Like Jon Wilson, Adrienne Garbiel, is a Reno based school teacher, who is also a pro Dher as well as a PSIA Level III Ski Instructor. 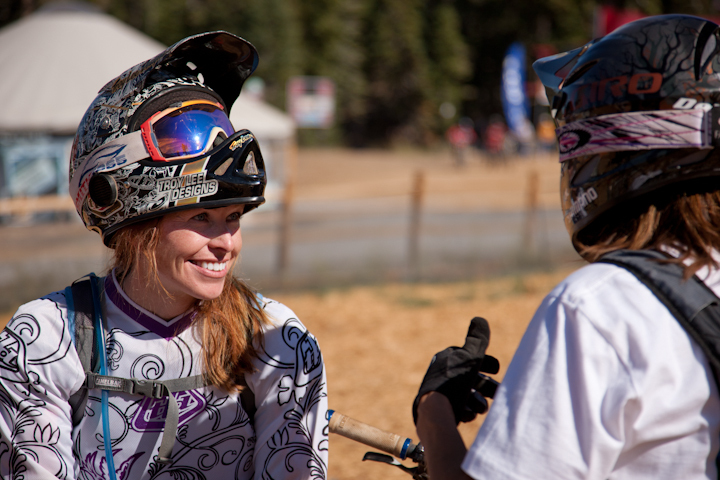 Here Adrienne and Leigh talk about what it takes to be the best and stay there. 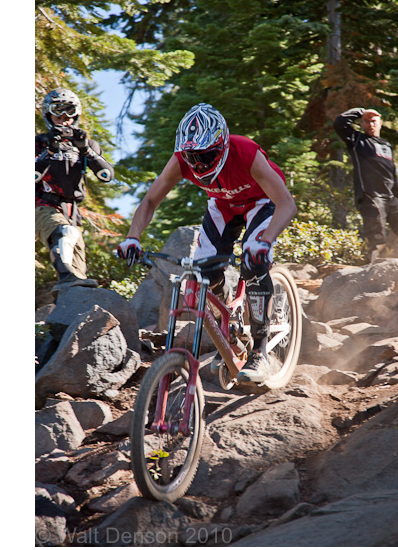 Again and again the pros would point out new ways, and new lines that surprised even the Northstar pass holders. As one student said “thes guys weren’t just a lot better than the best local guys, they’re at a completely different level…” I suppose that’s what the world cup and world champshipships produce: unreal skills. 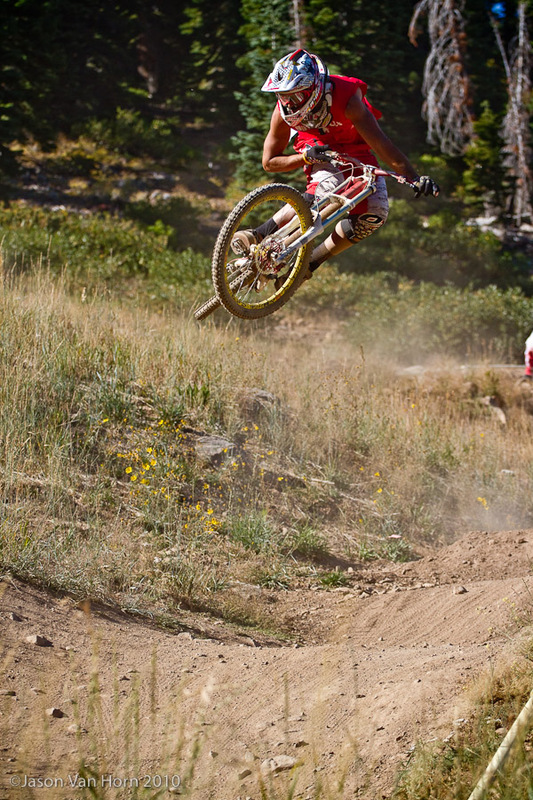 Landon Wahlstrom is both fit and a solid rider. But he told us that there was a lot of 411 coming down during the clinics. It was great to see Landon there soaking it all in. 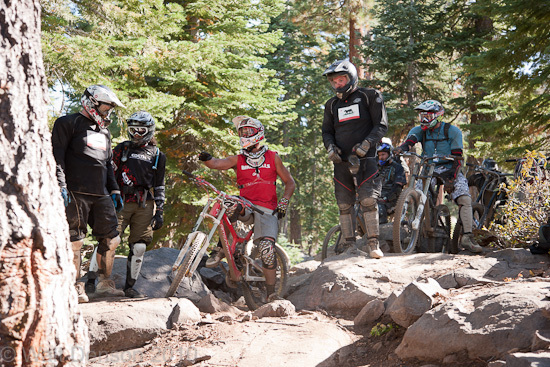 Again and again we watched Leigh transfornm rider’s bad habits and riding positions in to… well, what you see here. 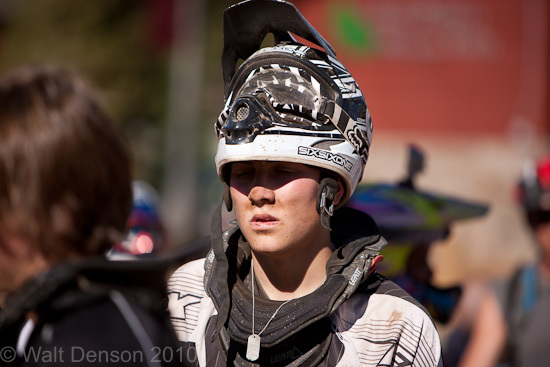 Leigh was at all times serious and professional. 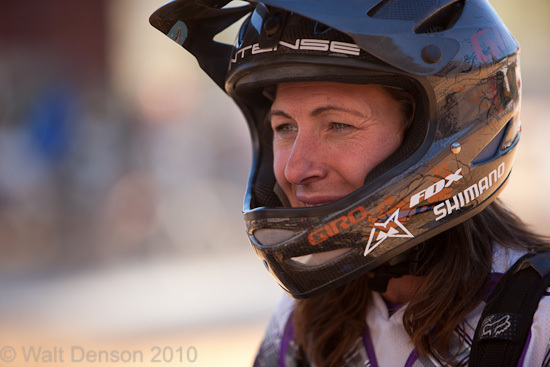 That said if you have never heard Leigh’s laugh (range about 1/2 mile) then you haven’t been around her. Probably the most infectious laugh in sports. 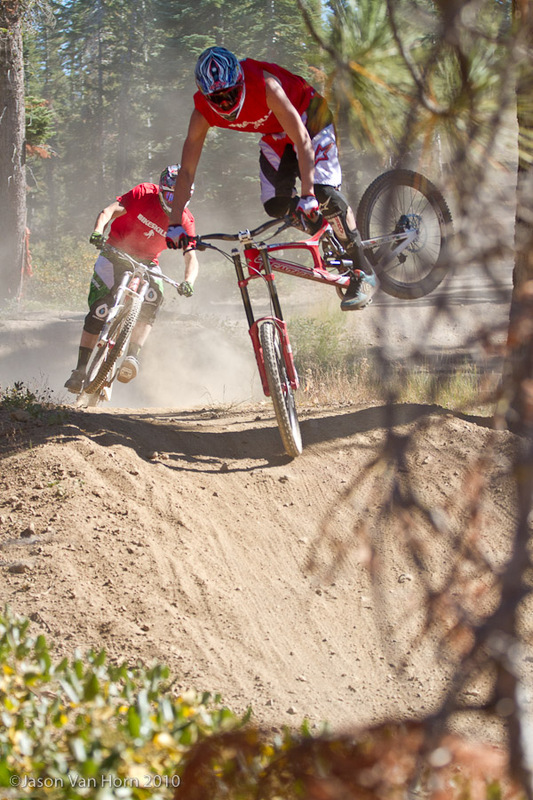 It’s funny how much of the most technical elements of slopestyle and jumping are about hands and forearm position. Here Jon and Hiroshi discuss the finer points of hand jive. Some of the lines Greg demonstrated simply blew us all away. He wasn’t just a bit faster than the rest of the crowd, but much faster and, paradoxically, so much smoother as well. 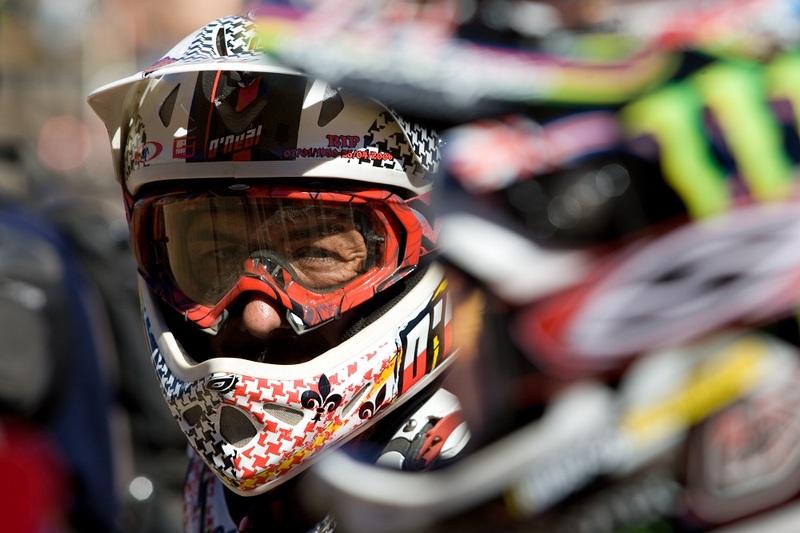 Probably no better way to end the pics section than with a shot of Cedric that says it all not just about him, but the whole Bikeskills World Class experience.